Digital platform Citeck ECOS has been updated to version 3.7.0 in Enterprise and Community editions. Most of the updates concerned the easy-to-use of the platform and its appearance. In 2019 we want to create a special ecosystem with the basic concept of business — effective process management. And we have planned make Citeck ECOS easy-to-use. Total fixed more than 30 bugs. The system productivity has extremely increased due to numerous platform improvements in the new version. Optimized new main popup menu style. Now menu item «Carrent Tasks» and «Subordinate Tasks» are tip on the number of case. Improved work with Safari browser. 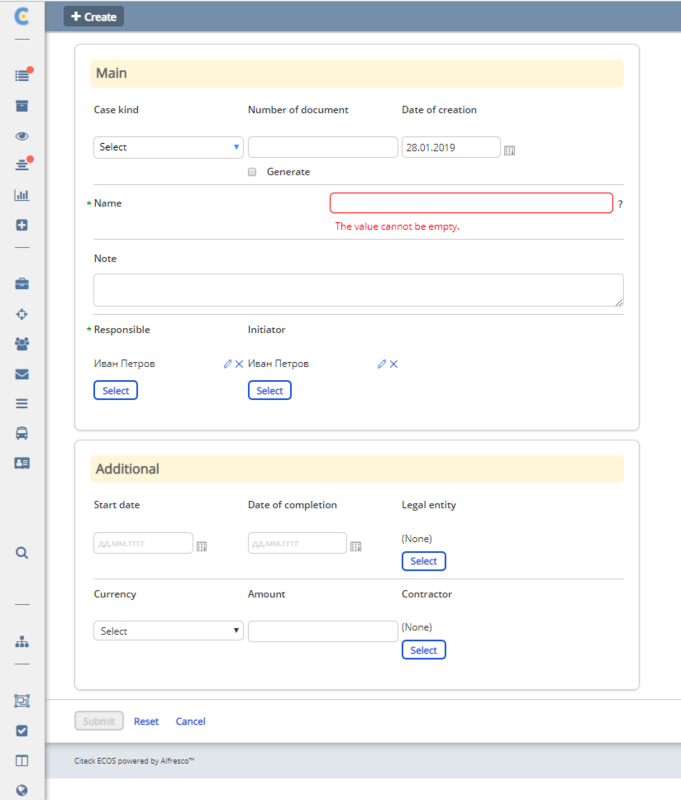 All fields and data form areas are displayed correctly. Optimized create user in organizational structure. Dashlets «Create case» is separated into two parts: Main and Additional. In Main you can see Case kind, Number, Date, Initiator, Responsible, Note. In Additional you can see other items: Planned date, Amount, Currency. Citeck offers a solution for making process effective. An easy-to-use editing BPMN process and Dynamic Case Management. 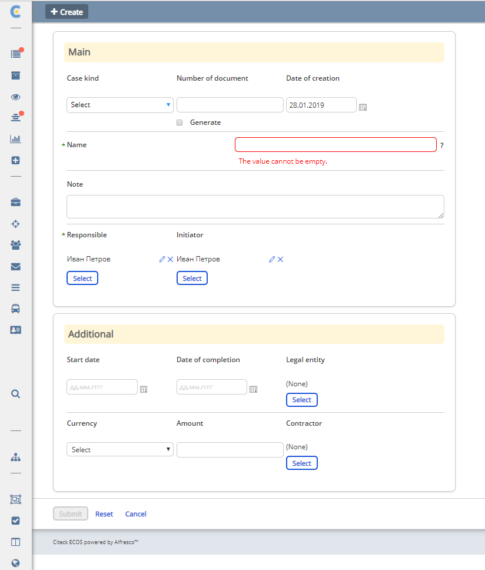 Now business processes can be modeled in 5-6 clicks. For quick start-up process are standard case studies: сomplaint, work plan, requirement, customer’s address and other. With Citeck ECOS you can execute your workflows and decisions in BPM/DCM engines, integrated with other applications for process automation. The full list of updates can see in the project improvements.